Let your customers know that genuine gemstones have uplifting energy and that sterling silver increases in value over time, making our award-winning jewelry authentic heirlooms. 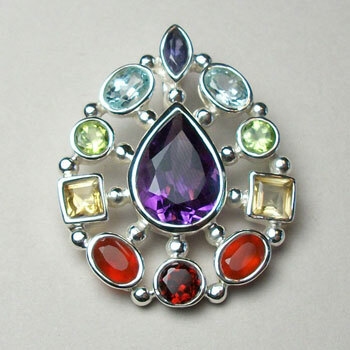 I select only superior quality genuine gemstones and have them set in my exclusive designs by skilled silver artisans. We also carry the largest selection of authentic sterling silver chakra jewelry. Our whole family is involved in supporting education and care projects for the indigenous families, women and children in the villages where we work. During the last 25 years, we take joy in watching their business grow and their lifestyle improve alongside ours. We also offer you personal friendly service to help you win optimal fast sales with a variety of reasonable price points to choose from. We love hearing from you to better serve your personal needs.